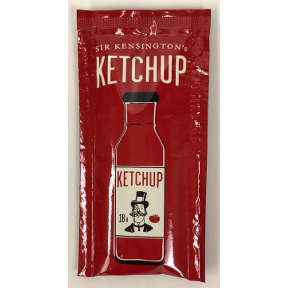 18 g. packet of ketchup. Non-GMO. Certified Vegan. Gluten-Free. Ingredients: Tomatoes, Tomato Paste, Organic Sugar, Onions, Water, Distilled Vinegar, Salt, Lime Juice Concentrate, Green Bell Peppers, Allspice.